Bit busy at the moment but I wanted to write a quick blog on something rather cool. 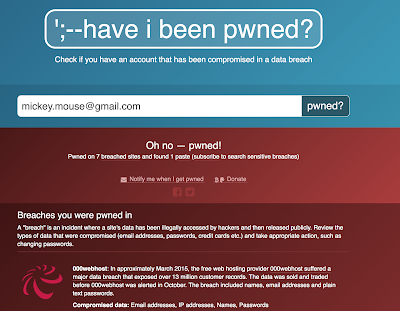 I am a big fan of Troy Hunt’s https://haveibeenpwned.com/. Troy performs a much needed public service by collating the results of the many many data breaches that keep happening and making them searchable. So if you want to check if your account has been involved in a breach. 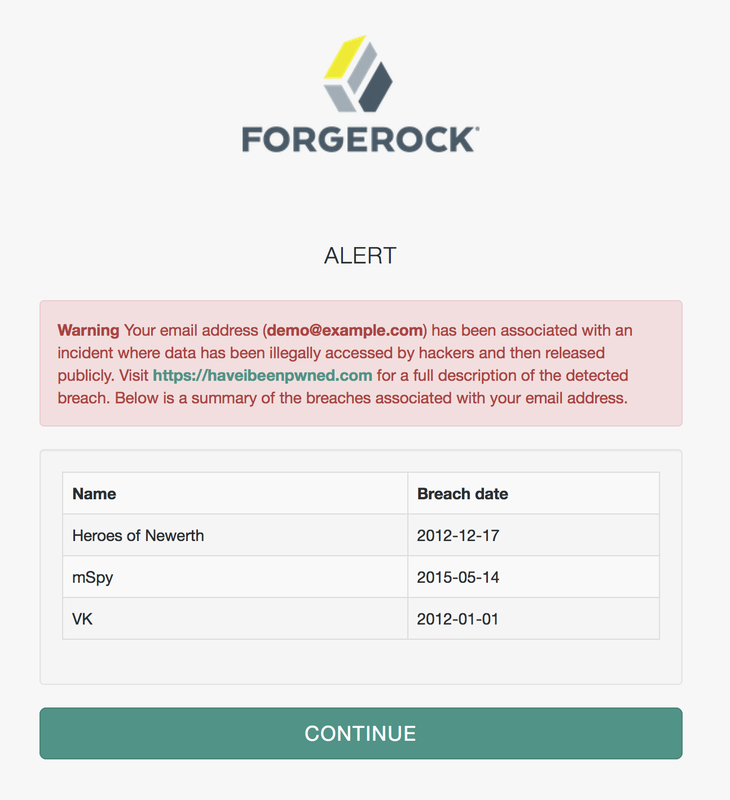 You enter your email and can see all the data breaches involving your email. The site also sends notifications when your email is detected in a breach. Allowing you to change your passwords and ensure your accounts are secure. I thought it would be quite cool to write an HIBP module for OpenAM. My colleague Jon Knight was kind enough to wrap this up and put together a bit of UI for it. This is a just a proof of concept, it may be that rather then warn the use your can instead attach a higher level of risk to interactions with them, perhaps enforcing the use of 2FA. This can all be achieved easily with OpenAM.